My darling ex-fiancé pointed me out to a fun game called Pogo Plumber. This 2D side-scroller is available now for iOS and is coming soon to Android devices. Pogo Plumber is a real treat for fans of 8-bit platformers and contains several familiar elements — a high-jumping plumber, collecting coins, minions that require head stomping, and more. Pogo Plumber is a free-to-play game, so kindly download it when you have a chance and share your thoughts on it in the comments section. Right about now a few of you are thinking, “Oh great, Ray, another free-to-play game you want us to try….” Don’t sweat it! The in-app purchases aren’t bad. There are cosmetic items for those of you that like to play with dollies, as well as more practical things like coin doublers and continues. After playing the game for a couple of days, I assure you that it’s good for a quick fix of old-school gameplay. Unlike free-to-play games from some other publishers (I want to name drop…but won’t), Pogo Plumber isn’t obnoxious about in-app purchases. They’re there if you want them, but easy enough to ignore if you just want a small dose of 2D side-scrolling joy. 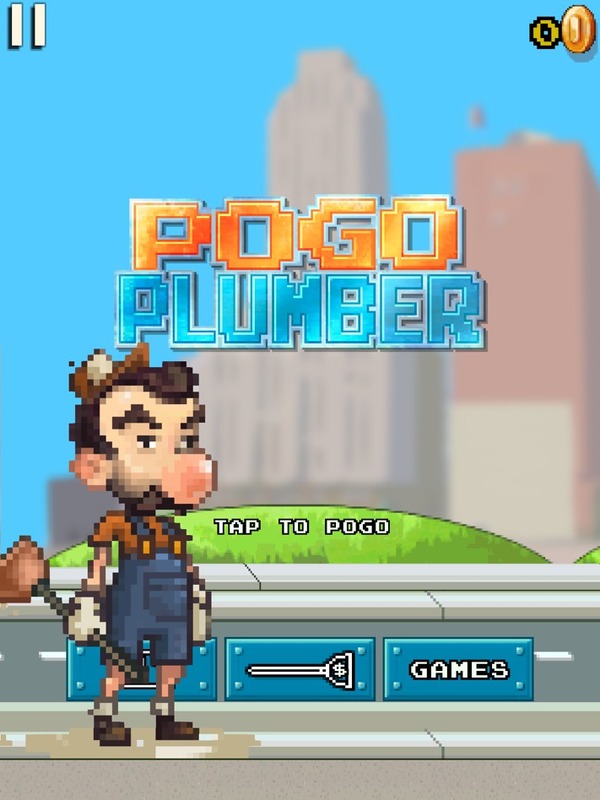 So please, please, please hit up the link above, download Pogo Plumber, and let me know what you think of the game.